For the election at our annual meeting we have the following candidates nominated by Chapter. Additional candidates for any office may volunteer at the meeting. I was born & baptized (Presbyterian) in Durham, NC, and grew up in Petersburg, VA. I was confirmed at St. Stephen’s Episcopal Church in Oak Ridge, TN, in 1962. I was active at St. Cross Episcopal in Hermosa Beach, CA, from 1977-2006. I sang in the choir the whole time, and served in the Vestry for 3 years in the early 90’s. 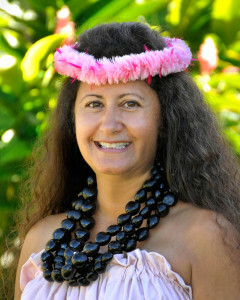 I have been married twice, and have 3 children and 4 grandchildren (one each living in Kaneohe). In my professional life, I was a computer programmer starting in 1963. In 1973 I co-founded a computer software company, and was its president from 1980-2006, when I retired, married, and moved to Honolulu. I received an MBA from Pepperdine University in 1983. I have been a member of St. Andrews since 2006. I sang in the choir from 2006-2012, and was Chair of the Outreach Committee 2007-2012. I was Assistant Treasurer for WTOF and a member of the WTOF Implementation Team, served as Treasurer from 2012-2015, and am currently on the Finance Committee. I serve the 10:30 Mass as usher, acolyte, lector, and Eucharistic Minister. I have been a Convention Delegate six times, most recently in 2018. 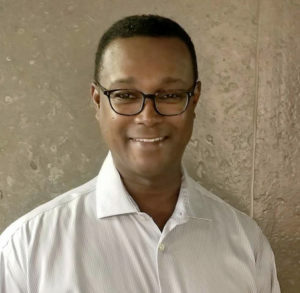 My name is Matthew Brown and I am standing for election as an at-large Chapter member and delegate to the 2019 Diocesan Convention in October. My faith journey first brought me to the Episcopal Church in the 1980’s as a young naval officer in San Diego when I found a home at the Cathedral there with others committed to seeking and serving Christ in all peoples. With each subsequent Navy-related move my first order of business was always to find an Episcopal Church home in my new duty station. This approach brought me to St. Andrews Cathedral in 2003 where I soon became involved in adult education and formation with the Journey program, ushering, and other activities. During this assignment I was elected to Chapter for a short term before the Navy once again transferred me away in 2006. When I retired from the Navy late in 2009 I returned to Honolulu to work in the public library system, and to worship at St. Andrews where I am currently serving as an usher, acolyte, Lay Eucharistic Minister, lector, participant in the Sunday morning Gospel Reflection Group, and coordinator for the collection counters. I remain committed to the importance of seeking and serving Christ in all peoples, and I recognize that each of us has special gifts and abilities that allow this service to happen in many different ways. It is my hope that we can be open to the calling of the Holy Spirit for us individually and collectively in order to serve the purposes God has set for us. It is also my hope that we can provide a warm and welcoming place where people can grow in their faith. Chapter membership and service as a delegate to the Diocesan convention each bring with them a special trust and responsibility to support the work of serving Christ in all peoples, for the Cathedral and community alike, and I have agreed to stand for election with prayerful consideration. My hopes and dreams for the Cathedral of St. Andrew: Haʻahaʻa – Humility. Hope in deepening our spiritual virtue that is the foundation of our Founders who lived by ke Akua and is the quality of every successful legacy, financial stability and inclusive of the tiniest to most seasoned persons. A cultural value which unifies and keeps focus on His plan and timing = my dream realized at Cathedral of St. Andrew. Pōmaikaʻi nā mea ʻapau. 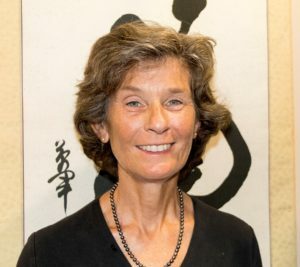 Since retiring as a school counselor in July 2016, I’ve volunteered at the Cathedral Office one day a week and at the Hawaiian Historical Society two days a week. I was confirmed in the Episcopal Church at St. Clement’s Church in Honolulu in 1964 when I was a student at the University of Hawaii at Mānoa. I’ve been part of the ‘ohana at the Cathedral of St. Andrew since the late 1970’s. I hope to join others in the ‘ohana to promote an active parish life and further the legacy of Queen Emma and Kamehameha IV. Preston has worked in the insurance industry for over 27 years. He is as a Certified Rehabilitation Counselor, and Licensed Mental Health Counselor in the workers compensation arena. 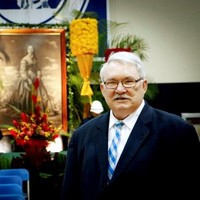 From 2008 – 2013 he was president of the Hawaii Rehabilitation Counselor Association and is currently president of the Honolulu Association of Insurance Professionals. Preston’s job tasks have included counseling, and managing/supervising managed care companies with a focus on case management in the insurance industry. He is currently the Vocational Rehabilitation Specialist for the largest Workers’ Compensation carrier in Hawaii where he has worked for over 10 years. Preston has called Hawaii home for over 24 years. He enjoys golf and hanging out with good friends. 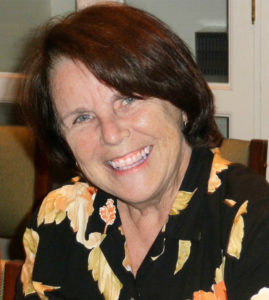 Anne Murphy was born and grew up in England, and moved to the United States as an adult. A lifelong Anglican, she started singing in the choir in England at age 7. Anne was thrilled to find the Cathedral of St. Andrew, which is both a spiritual homecoming and a source of new life for her. 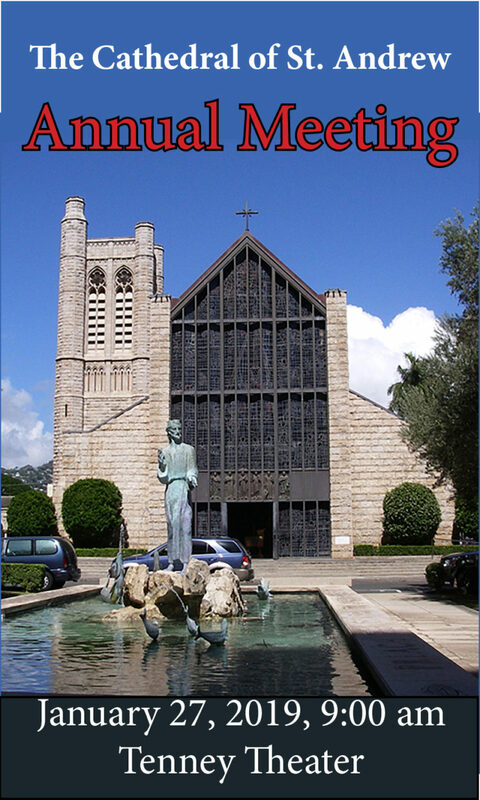 Through the Founders’ legacy and intentions for the future, the Cathedral beautifully preserves and develops the Anglican liturgy, spirituality and traditions, but its life of faith also has the depth and vibrancy of the Episcopalian Hawaiian spiritual tradition. Anne is honored to sing in the Cathedral choir, serve on Chapter and do her best (with much help from President Ann Hansen) as Secretary for Nohona Hawai‘i. 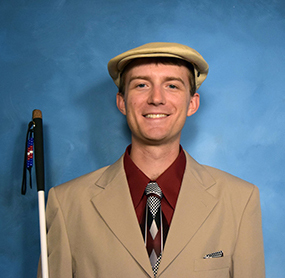 Justin came to Hawaii in 2016 through his social justice work in the National Federation of the Blind, the local chapter of which meets in our Von Holt Room. Justin works in blindness rehabilitation as a cane travel instructor, teaching adult students to travel confidently and independently in any environment, as well as helping them come to think of themselves as first-class members of society. He often spends his free time in the state legislature advocating on social justice issues and carries a strong focus on empowering people. 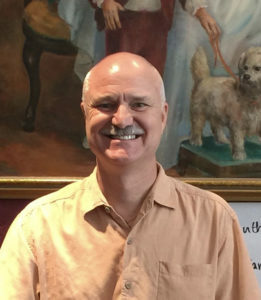 While in college, he held leadership roles in an Episcopal Campus Ministry (ECM), which worked to rebuild a house in New Orleans after Hurricane Katrina. 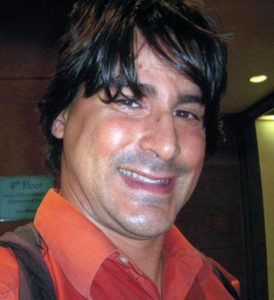 He has previously lived in Connecticut, North Carolina, Louisiana, and Wisconsin. He is one of the indigenous people of Nova Scotia and felt called to our 8:00 am Ka ‘Eukalikia Hemolele service. Keanu Young attends the 5:30 pm service on Saturdays at the Cathedral. He is the son of Lloyd Young Jr and Enid Young, the caretakers of Saint John’s By the Sea Episcopal Church in Kahalu’u. Keanu grew up in the vicarage of Saint John’s By The Sea and has fond memories of helping his mom with altar guild duty, and taking care of the church and church grounds. He served as Acolyte and lay reader at Saint John’s By the Sea in his younger years. He was baptized by Reverend Darryl Aiona, and later confirmed in 1983. Keanu works at the Hawaii State Capitol, as the Assistant Coordinator for the Public Access Room. He enjoys spending his free time going for long walks, stand up paddleboarding, hiking, and watching Korean dramas.